After installing the extension head over to the Download Monitor settings page. There will be a new tab named Email Notification, click it. 1. Set what downloads you wish to receive notifications of. 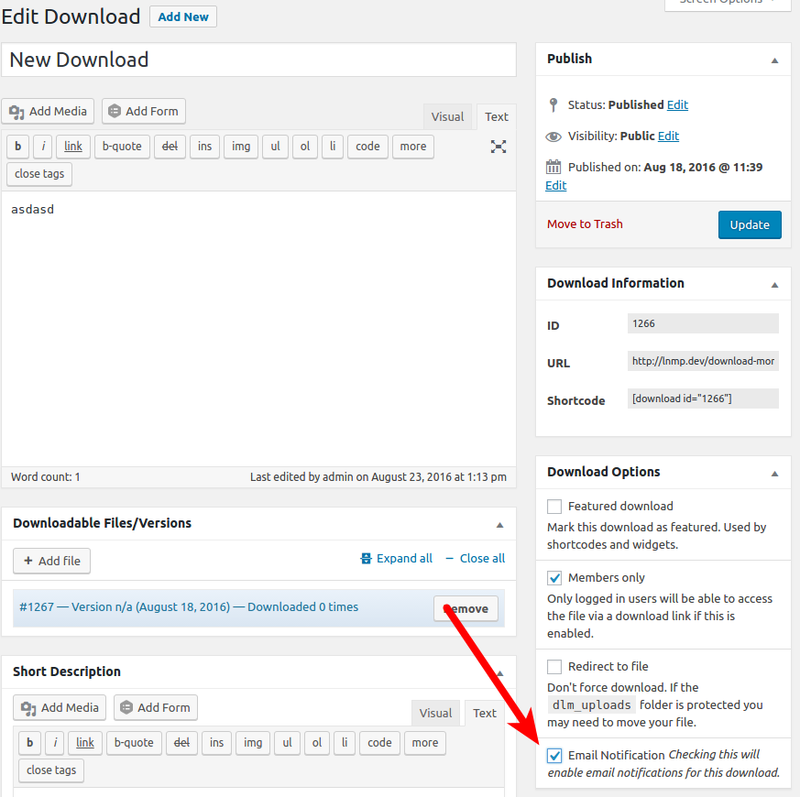 You can select to receive email notification for all downloads or only for selected downloads. 2. Set the email address(es) that will receive the notifications. Separate multiple addresses by comma ,. 3. Set the fields you want to have included in the notification email. Separate fields by comma (,). Instead of being notified of every download you can select which download you want to be notified of when downloaded. In the settings tab described in the Usage section set the Send notifications for to Selected Downloads. After saving the settings page, edit the download you wish to receive notifications for. There will be a new option Email Notification in Download Options. Check it and save the download. There’s a couple of reasons why you’re not receiving the emails sent by the extension. First check if the email address you entered in the settings is correct. If this is the case, please contact your host asking them to check your email and/or SMTP settings.